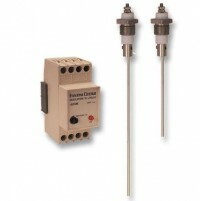 Electronic level controls with probes to control and monitor the level of conductive liquids. Suitable to control autoclave pumps, steam generator pumps, tanks filling and emptying etc. 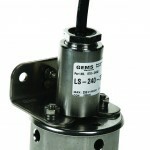 Trimmer for regulating the detection sensitivity, variable according to the type of liquid being controlled. Dielectric rigidity 1,500 V~ for 1 minute. Output by SPDT electromagnetic switching relay, voltage free terminals. EA18 – 3/8″BSP, 303 stainless steel, max 10 bar, 160°C, probe holder. 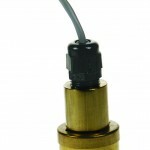 EA20 – 3/8″BSP, 303 stainless steel, max 30 bar, 250°C, probe holder. 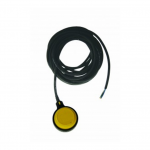 EA19 – Supended sensor, cable to be supplied and fitted by user. 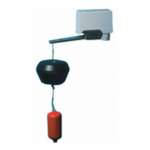 EA21 – Suspended PVC sensor with 6m cable. 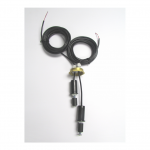 1MP – 1m stainless steel probe to be fitted to EA18 or EA20 probe holders (other lengths available upon request).